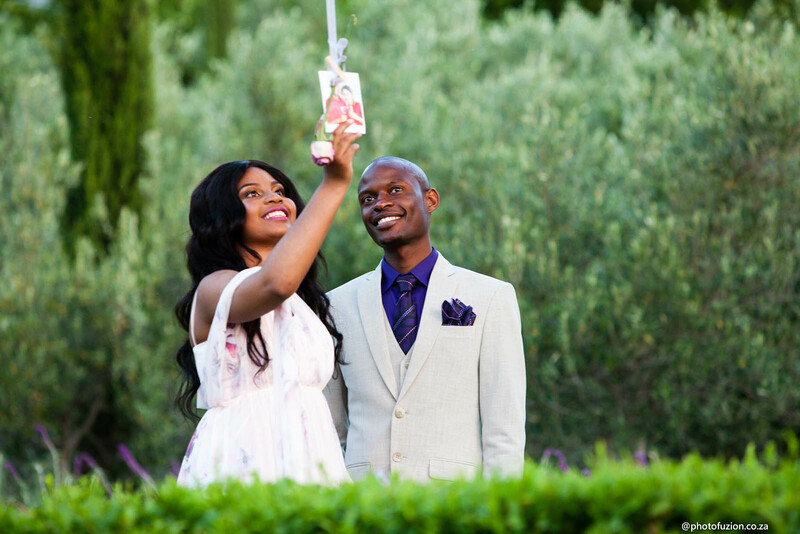 On the 19th November, Bukhosi asked his beautiful girlfriend Ayanda to marry him. She said YES! 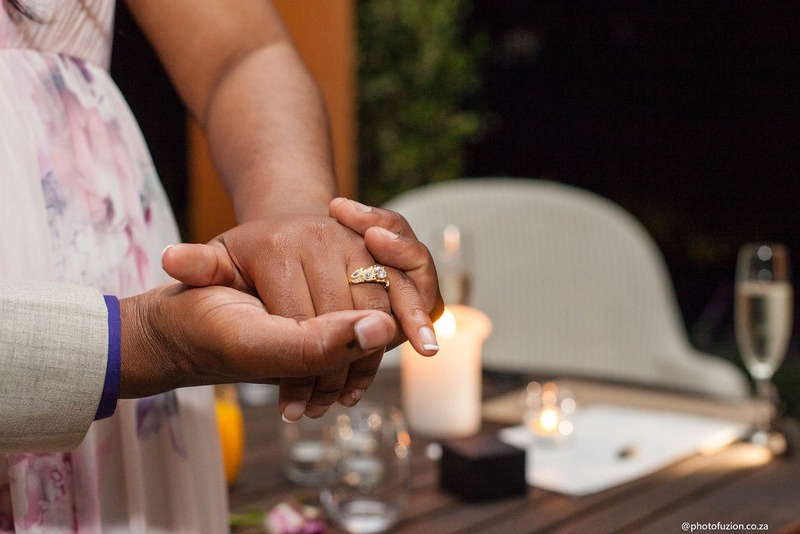 Bukhosi and Ayanda met at church and have been together for three years. They are both from Cape Town. 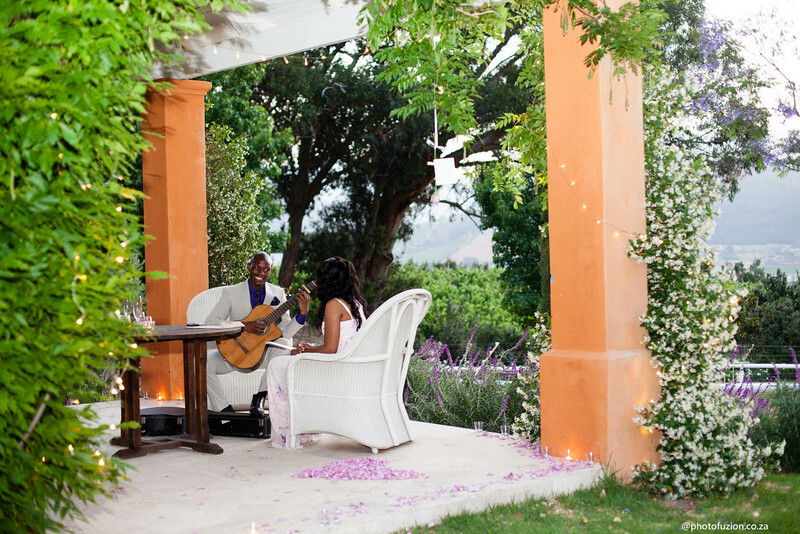 The couple enjoys singing and the guitar. She loves all things purple, especially purple roses. Bukhosi is vegan and Ayanda is vegetarian so we had to think of places that offered all food types. 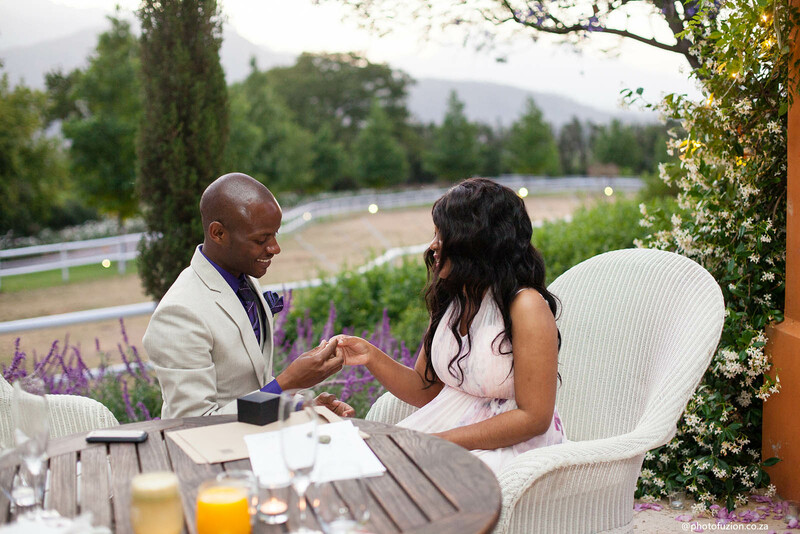 Bukhosi contacted us, as he required assistance with setting up the perfect proposal. He wanted something super romantic and private. He also wanted to have a lovely dinner afterwards, where they could both dress up and celebrate. 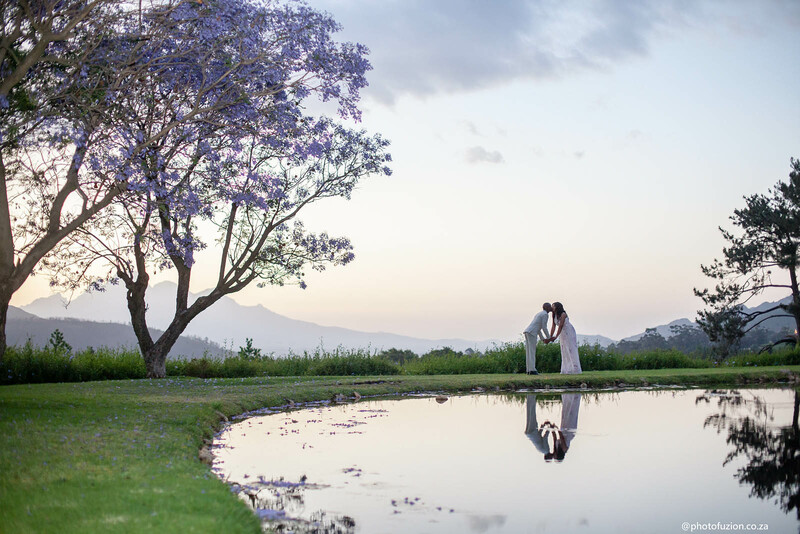 We suggested La Residence, in Franschhoek, as there is a private tea house at the bottom of the gardens and it overlooks a beautiful dam and has spectacular views of the Franschhoek mountains and vineyards. They also have a lovely restaurant with a private dining area. We decorated the tea house with fairy lights and scattered purple rose petals everywhere. The setting was so romantic with all the lights and candles! 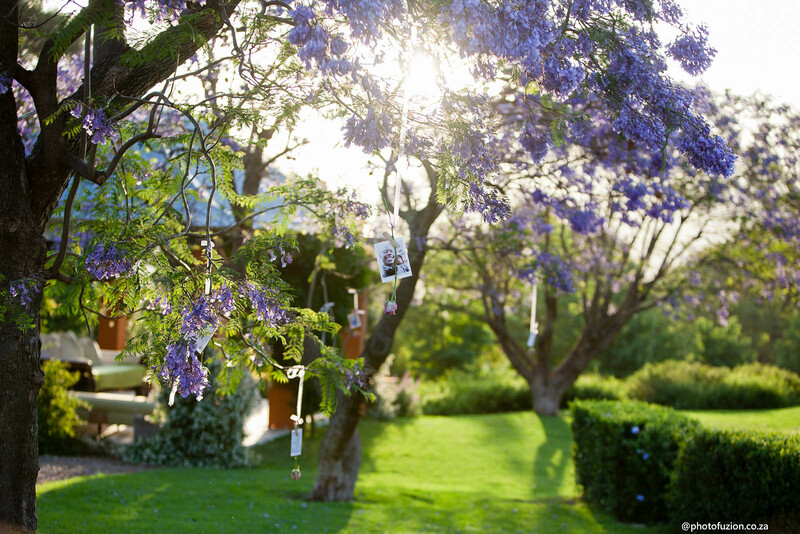 The Jacaranda trees were blooming and the bright purple lit up with the sunset. Bukhosi kept the whole thing a surprise, as it was Ayanda’s birthday and she was under the impression that they were going to be celebrating with a romantic dinner. 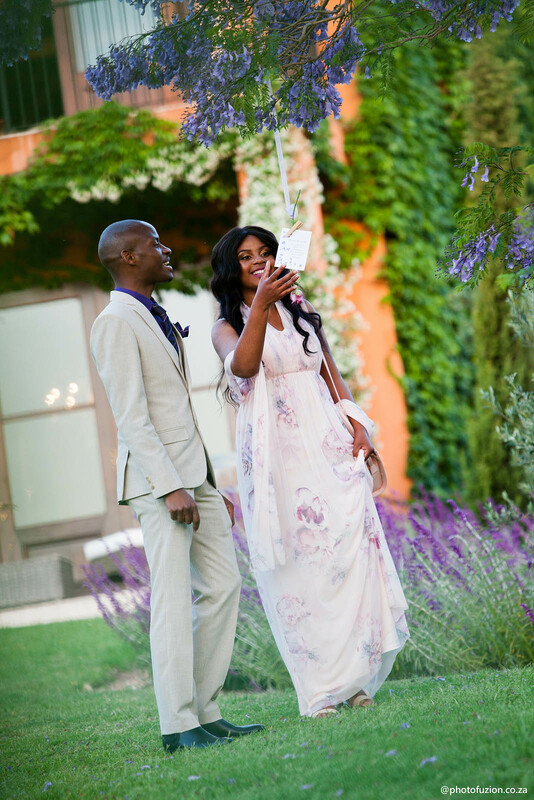 The couple arrived at La Residence, where Bukhosi guided Ayanda down the path to the tea house. Along the way, there were photos of the couple tied to purple roses that had little love notes about their journey together. 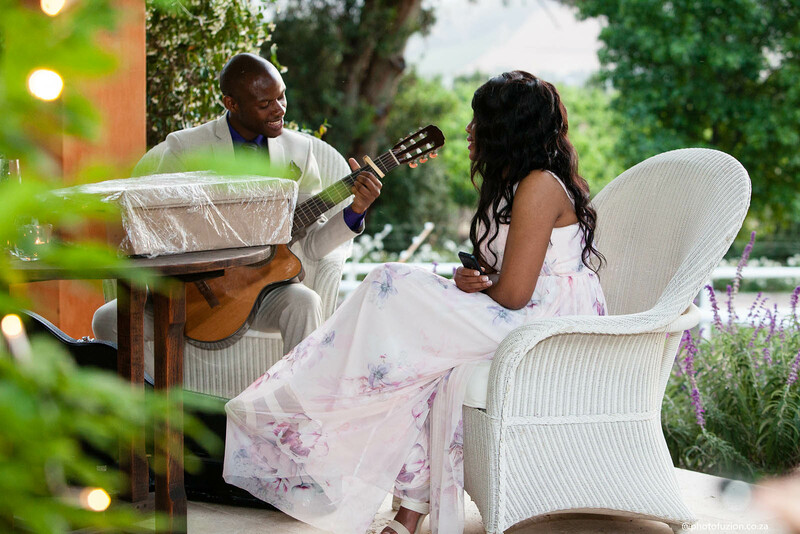 When she got to the last note, Bukhosi took his guitar out and sang some special songs to Ayanda. 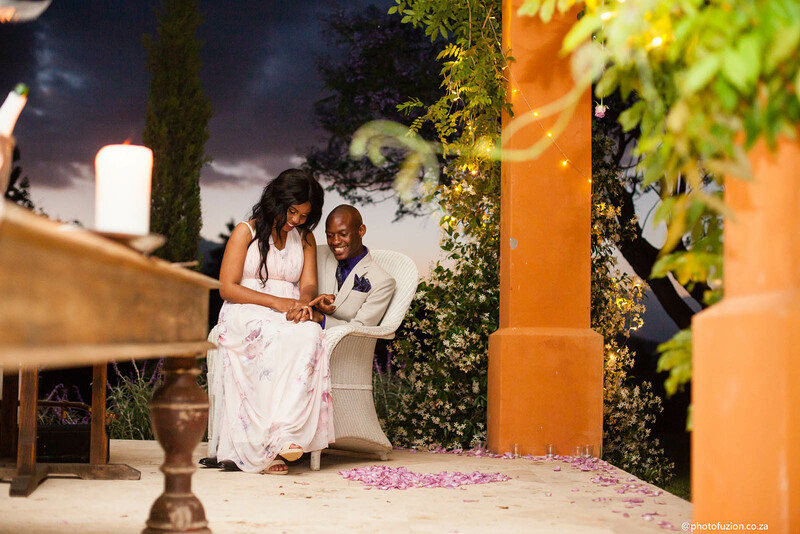 After serenading her, Bukhosi got down on one knee and asked the love of his life to marry him. 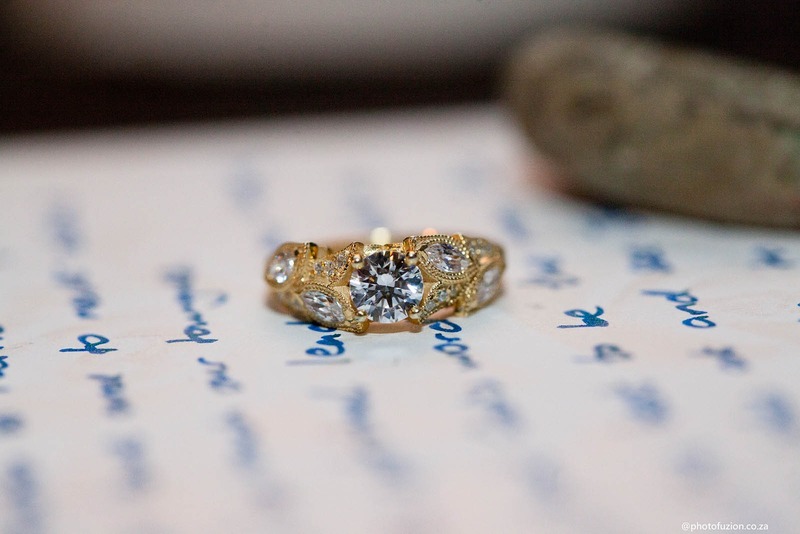 The ring was custom made by Jenna Clifford. Lesley captured their special moment and took some beautiful sunset shots. The couple celebrated with some vegan canapés and non-alcoholic bubbly and enjoyed a romantic dinner at the restaurant afterwards. 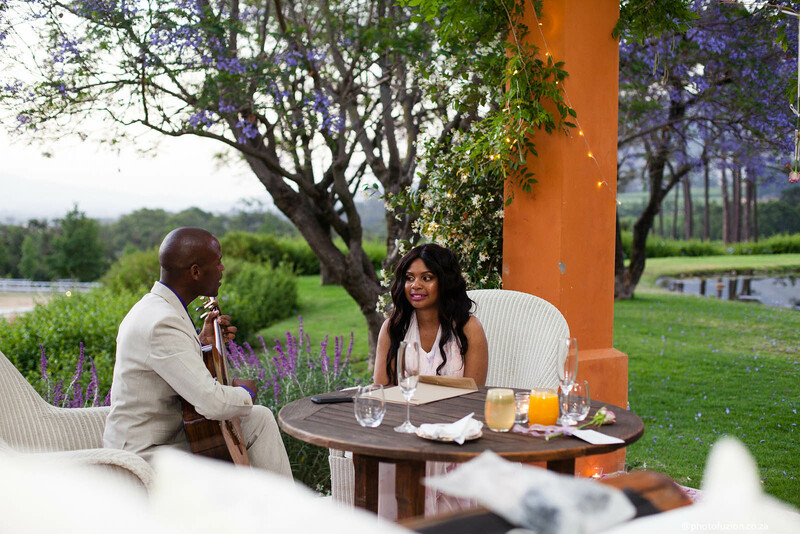 Bukhosi and Ayanda proposal at La Residence was magical and we wish them every bit of happiness for their future together. May all their dreams come true!